The Nukeproof Warhead seatpost has earned an enviable reputation as a strong, reliable and lightweight post that you can count on in all conditions. 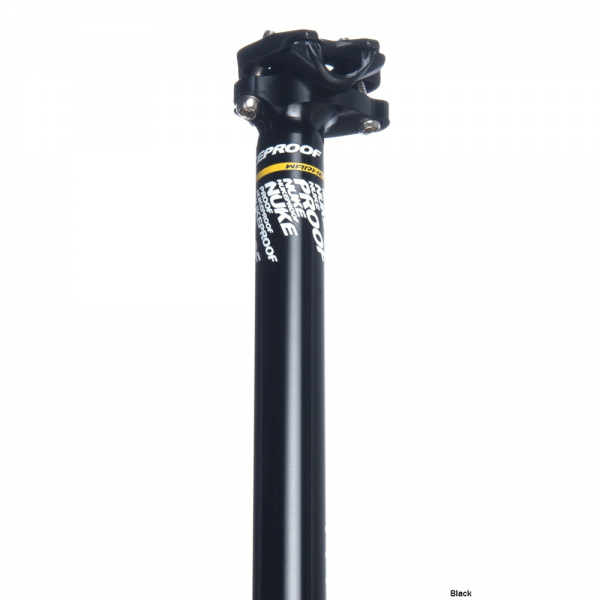 Custom-machined from high-grade 7075-series aluminium, the Nukeproof Warhead layback seatpost consists of a one-piece 400mm shaft and lower clamp section topped by a cold-forged clamp head, with both the upper and lower clamp and rail assemblies CNC-machined in critical stress areas for superior strength and fatigue resistance. 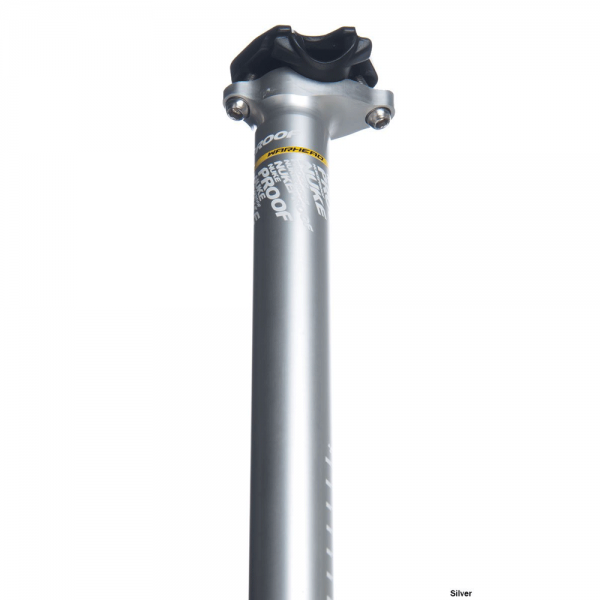 The shaft features an elliptical internal bore to further increase the strength to weight ratio by removing unnecessary material in key areas without compromising structural integrity. 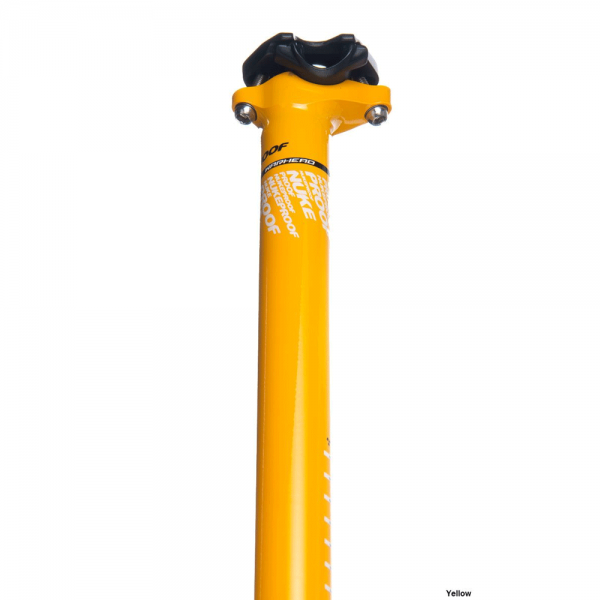 Infinitely adjustable for your preferred saddle position and available in three diameters, the Warhead is a seatpost built to take the hits of intense riding and racing without the weight penalty.